The Browngin BAR Lightweight Stalker uses aircraft grade metal to create a sturdy yet very lightweight hunting rifle. 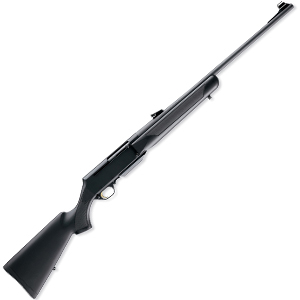 This gun comes in 243 Win, 308 Win, 270 Win, 30-06, 300 Win Mag, 338 Win Mag, 300 WSM, 270WSM, and 7mm WSM. Action - Gas-operated autoloader, Multi-lug rotary bolt, Detachable box magazine, Crossbolt safety Stock - Composite, Matte black finish, Checkered Features - Sling swivel studs installed, Recoil pad.